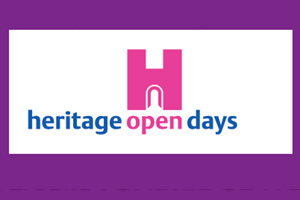 Heritage Open Days celebrate England's architecture and culture by allowing visitors free access to interesting properties that are either not usually open, or would normally charge an entrance fee. Each year dozens of free events take place over a weekend in September. There are building openings, exhibitions, guided walks, tours and talks. Often there’s also art, craft and music, and displays of traditional skills. Check the website for deatils of venues open and events taking place each day.